Detailed description of the multi-axis repeatability performance and the modelling of non-systematic variations in the positioning performance of machine tools can support the understanding of root-causes of capability variations in manufacturing processes. 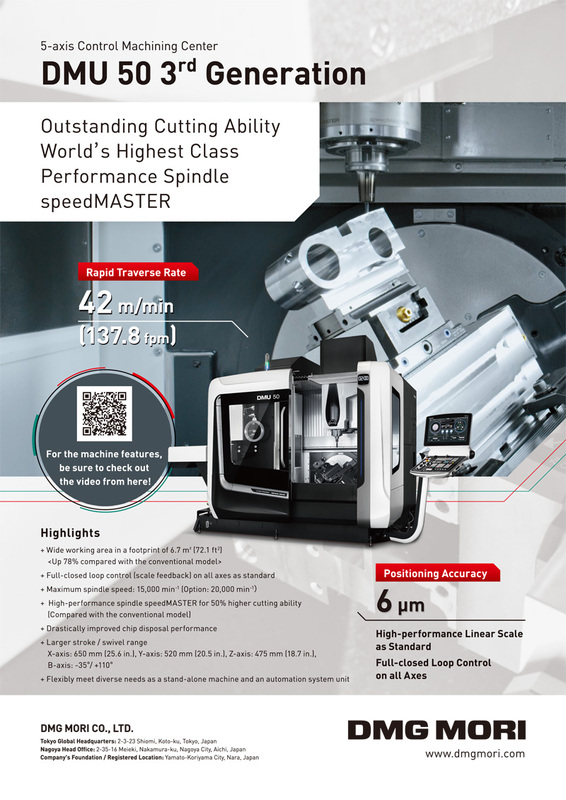 Kinematic characterization is implemented through repeated measurements, which include variations related to the performance of the machine tool. This paper addresses the integration of the positional repeatability in kinematic modelling through the employment of direct measurement results. The findings of this research can be used to develop standardized approaches. The statistical population of random errors along the multi-axis travel first requires the proper management of experimental data. In this paper a methodology and its application are presented for the determination of repeatability under static and unloaded conditions as an inhomogeneous parameter in the work space. The proposed approach is demonstrated in a case study, where the component errors of a linear axis are investigated with repeated laser interferometer measurements to quantify the estimated repeatability and express it in the composed repeatability budget. The conclusions of the proposed methodology outline the sensitivity of kinematic models relying on measurement data, as the repeatability of the system can be in the same magnitude as the systematic errors. K. Szipka and A. Archenti, “Utilization of Multi-Axis Positioning Repeatability Performance in Kinematic Modelling,” Int. J. Automation Technol., Vol.13, No.1, pp. 149-156, 2019. Y. C. Shin and Y. Wei, “A statistical analysis of positional errors of multiaxis machine tools,” Precision Engineering, Vol.14, No.3, pp. 139-146, 1992. S. Aguado, J. Santolaria, D. Samper, and J. J. Aguilar, “Protocol for machine tool volumetric verification using commercial laser tracker,” Int. J. of Advanced Manufacturing Technology, Vol.75, No.1, pp. 425-444, 2014. ISO 230-1:2012, “Test code for machine tools – Part 1: Geometric accuracy of machines operation under no-load or finishing conditions,” 2012. ISO 230-2:2006, “Test code for machine tools – Part 2: Determination of accuracy and repeatability of positioning numerically controlled axes,” 2006. ISO 10791-4:1998, “Test conditions for machining centres – Part 4: Accuracy and repeatability of positioning of linear and rotary axes,” 1998. JCGM 200:2012, “International Vocabulary of Metrology Basic and General Concepts and Associated Terms (VIM 3rd edition),” 2012. H. D. Kwon and M. Burdekin, “Measurement and diagnostics of machine tool errors during circular contouring motions,” Proc. of the Institution of Mechanical Engineers, Part A, Vol.212, No.1, 1998. Y. Xu, L. Zhang, S. Wangl, H. Du, B. Chai, and S. J. Hu, “Active precision design for complex machine tools: methodology and case study,” Int. J. of Advanced Manufacturing Technology, Vol.80, No.1, pp. 581-590, 2015. K. Nagaoka, A. Matsubara, T. Fujita, and T. Sato, “Analysis Method of Motion Accuracy Using NC System with Synchronized Measurement of Tool-Tip Position,” Int. J. Automation Technol., Vol.3, No.4, pp. 394-400, 2009. G. Barbato, G. Genta, and A. Germak, “Measurements for Decision Making,” Società Editrice Esculapio, 2013. J. Bryan, “The Power of Deterministic Thinking in Machine Tool Accuracy,” UCRL 91531, 1st Int. Machine Tool Engineers Conf., Tokyo, 1984. W. Knapp, “Measurement Uncertainty and Machine Tool Testing,” CIRP Annals – Manufacturing Technology, Vol.51, No.1, pp. 459-462, 2002. P. J. Willoughby, A. J. Hart, and A. H. Slocum, “Experimental Determination of Kinematic Coupling Repeatability in Industrial and Laboratory Conditions,” J. of Manufacturing Systems, Vol.24, No.2, pp. 108-121, 2005. ISO/IEC Guide 98-3:2008, “Uncertainty of measurement – Part 3: Guide to the expression of uncertainty in measurement (GUM:1995),” 2008. ISO/TR 230-9:2005, “Test code for machine tools Part 9: Estimation of measurement uncertainty for machine tool tests,” 2005. H. F. F. Castro and M. Burdekin, “Dynamic calibration of the positioning accuracy of machine tools and coordinate measuring machines using a laser interferometer,” Int. J. of Machine Tools and Manufacture, Vol.43, Issue 9, pp. 947-954, 2003. A. Matsubara, A. Sayama, T. Sakai, and M. Reuss, “Analysis of Measured Friction of Rolling Balls in Raceway Grooves,” Int. J. Automation Technol., Vol.8, No.6, pp. 811-819, 2014. Y. Kimura, M. Sekizawa, and A. Nitanai, “Wear and fatigue in rolling contact,” Wear, Vol.253, No.1, pp. 9-16, 2014. S. Chatterjee, “An Assessment of Quasi-Static and Operational Errors in NC Machine Tools,” J. of Manufacturing Systems, Vol.16, No.1, pp. 59-68, 1997. J. Payne and V. Cariapa, “A fixture repeatability and reproducibility measure to predict the quality of machined parts,” Int. J. of Production Research, Vol.20, No.18, pp. 4763-4781, 2000.